The Crystal Silence League: Welcome! 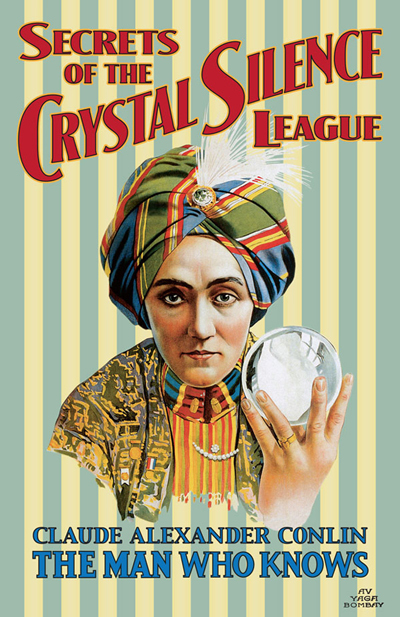 The Crystal Silence League was founded in 1919 to distribute affirmative prayer and helpful thoughts to all in need. We continue this work in the spirit of joyful anticipation that YOU will be graced with all you require and desire in the way of spiritual blessings. All visitors are welcome here, and the prayers of all are respectfully set upon our altars. 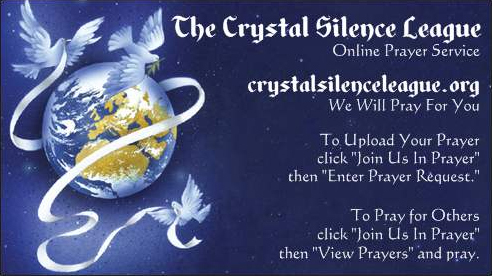 You do not need to be a member of the Crystal Silence League to post your prayers at our Online Prayer Request Page, nor do you need to be a member of the Crystal Silence League to spend a moment in prayer for those who have posted their prayer at the Online Prayer Request Page. This service is without charge, for "Prayer is always free at the Crystal Silence League."